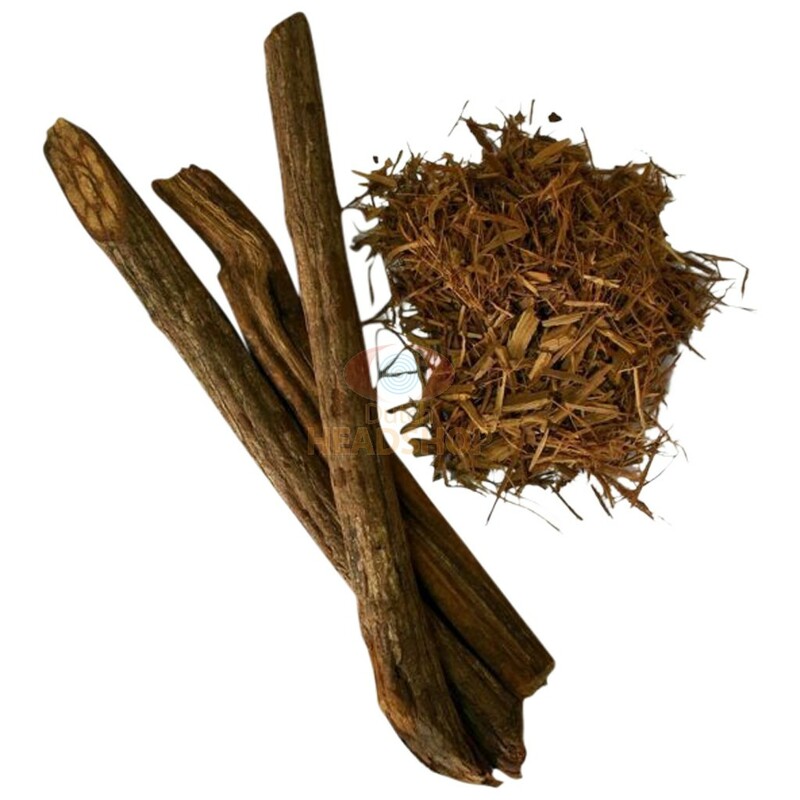 Banisteriopsis Caapi is better known as a liana and is one of the two ingredients of ayahuasca. This liana is known by many names and the two types that are most well-known are Trueno and Ourinhos. Throughout the Amazon a kind of traditional medicinal tea is made of the Banisteriopsis Caapi. If you use it, it will have an extraordinary strong effect on your body. The product contains a high percentage of natural MAO-inhibitors. It is cut and contains a total of 50 grams Banisteriopsis Caapi Trueno. Banisteriopsis caapi is a liana which is one of the 2 ingredients of ayahuasca. This liana has many names, including ayahuasca itself, but also hoasca, kahi, dapa, mihi, natema, yage nixi honi xuma and pinned. More than 40 varieties are known to man. Trueno and Ourinhos are the 2 best-known species. In the area around the Amazon, Banisteriopsis caapi is used as a medicinal and traditional tea. The Trueno variety is translated as “thunder”, suggesting a particularly strong effect on the body. Banisteriopsis caapi has a high percentage of natural MAO inhibitors. Shamans and others have said that human beings can only get in another state of mind by using Banisteriopsis caapi. A lot of practice and experience is necessary. Usually one adds another plant, which has the psychoactive / hallucinogenic DMT, or other psychedelics, to the infusion of plants. Normally, DMT is broken down by enzymes if you take it orally and it is not psychoactive. 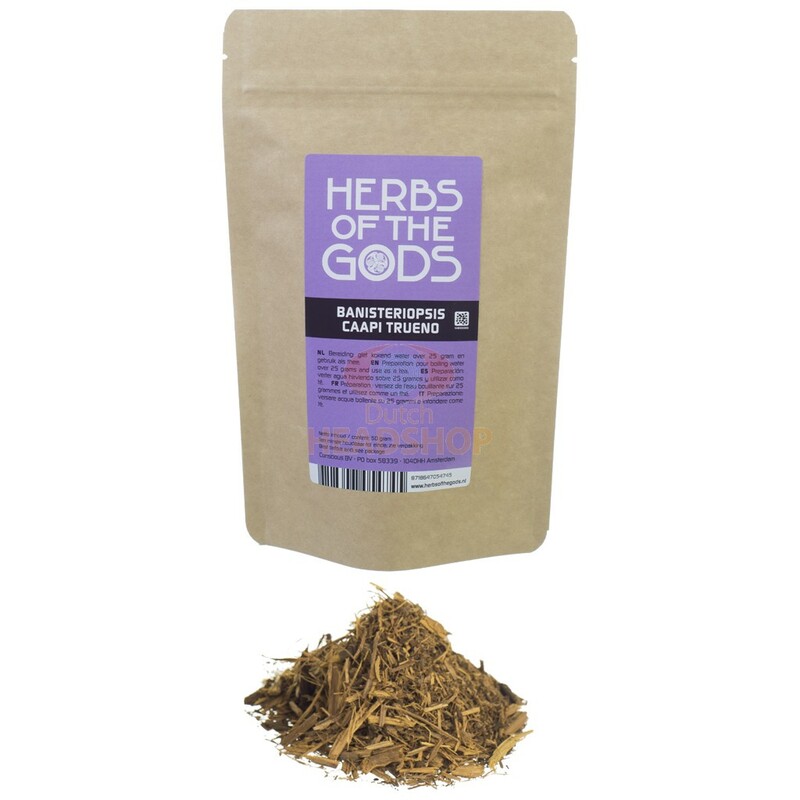 With Banisteriopsis caapi, the enzyme is temporarily disabled, allowing the DMT to become psychoactive. 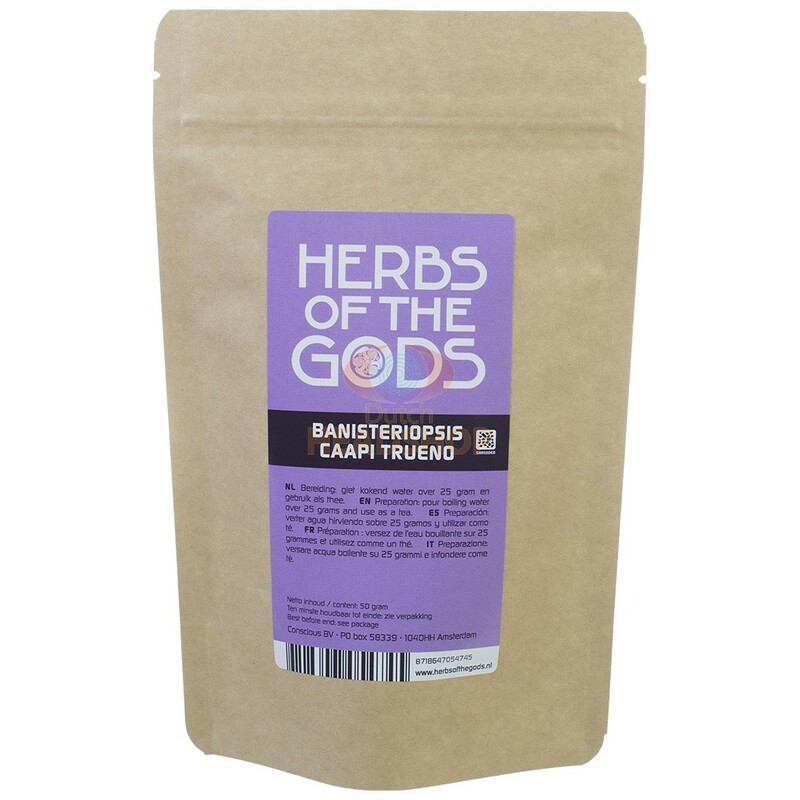 Banisteriopsis Caapi inhibits the enzyme (monoamine oxidase), allowing the DMT to become psychoactive. 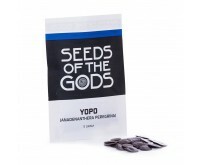 Take 50 to 150 grams of shredded Banisteriopsis caapi Trueno, in combination with Chacruna or Chaliponga, for example. Let the mixture simmer for a few hours, until the liquid becomes concentrated and a small amount of the concentrated drink remains. Banisteriopsis caapi is also used by some people in combination with other psychedelics, usually with psilocybin mushrooms. The effect of the mushrooms with the B. caapi is longer and (much) stronger, according to these people. The experience will often take off in another direction. Taking into account other factors, people use 25 grams or more. Bring the mixture of ground plants to a boil in a sufficient quantity of water. When the liquid boils, set the fire to a minimum. Let stand more hours if desired; leave one for 4 hours and the other for 12 hours. In between water should be added, so that all the active substances dissolve in the water. When the infusion of plants is complete, filter out the plant residue with a T-shirt or something similar. Boil until the water is reduced to a drinkable quantity. To accelerate the extraction process in certain recipes, vinegar or lemon juice is added. A dose of 25 to 150 grams of ground Banisteriopsis Caapi should be used, depending on the purpose, type and quality of the experience desired, as well as the sensitivity of the user. 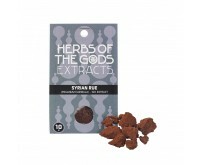 When used in a mixture with ayahuasca or a brew which also contains DMT, a lower dose of between 50 and 100 grams is used, and 100 to 150 grams for a high dose. Banisteriopsis Caapi Trueno contains a lot of MAO-inhibitors. That is why is can be very dangerous if it is combined with certain psychoactive substances or certain foods which normally are harmless or which contain tyramine. Not suitable for people under 18. Store in a cool, dry place, out of reach of children. We only sell ground Banisteriopsis Caapi, not the leaves. Harmaline, harmine and tetrahydroharmine are the primary active elements of his part of the Banisteriopsis Caapi (Raetsch 2005). We cannot send this product to France.